In California, naturalized in disturbed coastal areas. Recorded in 5 counties in Calflora, including during a Bioblitz at Santa Monica Mountains National Recreation Area. Invasive in South Africa, where it is a Category 2 listed invasive plant and invades fynbos (shrubland), forest gaps, plantations, watercourses and roadsides. A survey of invasive plants in South Africa called it a potential landscape transformer. It recruits large numbers of seedlings. Also invasive in Western Australia (outside its native range of South Australia). See link to CABI datasheet in Evaluation Notes. Invasive in South Africa, where it is a Category 2 listed invasive plant and invades fynbos (shrubland), forest gaps, plantations, watercourses and roadsides. A survey of invasive plants in South Africa called it a potential landscape transformer. It recruits large numbers of seedlings. Mostly in the Western Cape of South Africa, which has a similar climate to California. Eucalyptus globulus and E. camaldulensis are invasive in California (both rated Limited on Cal-IPC Inventory). Six species of Eucalyptus are regulated in South Africa and must be removed when they are in protected areas (parks) or riparian areas - see link in Notes. Its rapid growth and high seedling recruitment allow it to outcompete native species and change the botanical composition of an area. Has a spreading and competitive root system. The canopy of mature E. cladocalyx also recovers more quickly than the native species after fire and it would appear that the species is therefore at a competitive advantage in areas where bush fires occur regularly (Ruthrof et al., 2003). - However, I'm not sure if it actually changes the fire regime or simply benefits from fire. 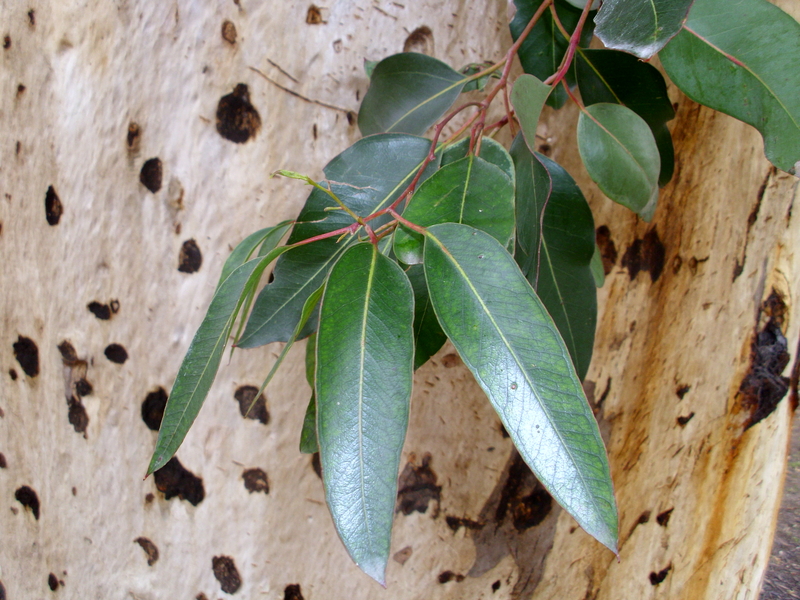 Many eucalyptus species contain aromatic oils and increase crown fires, so it is possible this species influences fires. Answering yes but with medium confidence due to lack of specific information on this species. The leaves are poisonous, producing prussic acid, but I don't know how likely it it that they would be eaten. No mention of impacts to grazing. While it is invasive, I could not find information on how densely E. cladocalyx grows in its invasive range of South Africa. Propagated by seeds. Other species of Eucalyptus produce stem sprouts but the references on this species don't mention that. Seems unlikely because it is a tree. There are approximately 120,000 viable seed per kilogram of seed and chaff mix. There are approximately 120,000 viable seed per kilogram of seed and chaff mix. I found articles on E. cladocalyx breeding systems but nothing that gave a clear number of seeds produced. Given the number above and the fact that this is a large tree, I am assuming yes. E. cladocalyx has large seedling recruitment after fire. Eucalyptus species in general have very low seedling survival when they germinate between fires. Although I could not find a clear statement that fire is required for germination, it appears to greatly stimulate germination and help seedling survival. Ruthrof, K. X., Loneragan W. A., & Yates C. J. (2003). Comparative Population Dynamics of Eucalyptus cladocalyx in Its Native Habitat and as an Invasive Species in an Urban Bushland in South-Western Australia. Diversity and Distributions. 9, 469–483. Although I found several articles on E. cladocalyx breeding systems, I could not find a clear answer on when seeds are first produced. Flowering occurs January to April in Australia, with mature seed available for collection about 12 months later. In South Africa, flowers from October to May. Based on the longer flowering period in South Africa, I am extrapolating to >3 months of seed production. Tiny seeds are dispersed by wind and that sounds like the main form of dispersal. Has tiny seeds that are dispersed by wind. Wind appears to be the main form of dispersal.